Accessible, site care solutions at a price suited for any budget, all with a free site audit. Annual renewals receive 2 months for free! Proactive maintenance, support and security services are great for sites just starting out. Performance hosting, professional tools and processes are essential for established businesses. Protection for sites with decent traffic that need occasional changes and bulletproof security. Don’t require ongoing site care? Order a one-off fix for £79. We currently accept payments via Direct Debit. We have found this to be more reliable as it is easy to setup, avoids issues such as when credit cards expire and it's more flexible which allows us to serve you better. Yes, we offer a 10% discount for each additional site care plan. Once you've signed up and are logged in to your account you'll have access to this offer via the pricing and purchase page. You can login to your account on this website and use the live chat feature, or you can email us at support@newtlabs.co.uk and we'll get right on it. All hosts are different, some better than others. Ideally we would like you to host your website with us to ensure that it's fast, secure and so we have better control which makes both of our lives easier when performing updates and fixes. However we're happy to recommend other hosts should you require something in between. No, we like to earn your business every month, and if you want to cancel we're happy to help you transition, risk free. Yes, you can upgrade, or downgrade as you wish via the subscriptions section in your account area. If you're not sure how to access this, contact us and we'll be more than happy to help. We are based in Cambridge, Uk. We're a team of WordPress experts who love helping people with their online goals. Everyone who works for Newt Labs has full time employment status and we occasionally work with contractors on bigger projects that have tight turnaround times. How do I know when a task is support, or development? If it's a fix that seems like it could be solved within 30 minutes, or you have a question, or need advice that's support and can be submitted via live chat, or email to support@newtlabs.co.uk. If it's a change to how your site currently works, or you need a non-urgent fix that seems like it will take a longer time to resolve then it should be submitted as development work via Basecamp. 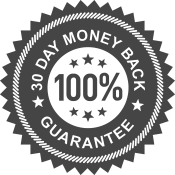 We offer a 100% money back guarantee during the first 30 days of service. Once 30 days have passed, refunds are prorated for the remaining time left in the month. Our default hours are 8am – 8pm GMT or GMT+1 in the summer months. Why shouldn't I add plugins directly on production? We create, track and test versions of your website as it progresses over time. This includes testing new plugins for incompatibility issues before we deploy them to staging for further testing and approval. It's best to ask us to add new plugins for you, or we can give you access and show you how to use version control so you can test and we can continue to maintain them going forward. My site has been hacked, can you clean it up? If you have a site care plan and your website has been hacked then we're happy to perform a malware cleanup free of charge. If you don't have a site care plan you can sign up for one, however when taking on new sites that contain malware we also charge a one-off emergency hack cleanup fee. Once a site has been cleaned we advise continuing with site care and protecting it with Sucuri's CloudProxy firewall, which is included in our Protection site care plan.